Russia, which is now known officially as the Russian Federation is located in the Northern portion of Eurasia. The country is considered a semi-presidential republic that is made up of 83 federal subjects. Back in the 80’s when Russia became a country where free enterprise ruled, casinos with poker games opened up all over the country. Some of those casinos were ran by less than desirable citizens in not always the most ethical of fashions. In effort to clean up and regulate the industry the Russian Government shut down every single casino and therefore every poker room pretty much overnight. One moment, there was gambling-o-plenty, in the very next, there wasn’t a place left standing to make a legal bet in Russia. As a result of the changes made by reigning Russian President Vladimir Putin there are no legally operating poker games in any Russian casinos at current; this is because it’s currently illegal to play live poker games in Russia for cash. That’s not to say that there’s not a healthy and thriving unground poker community, playing both cash poker games and tournaments in private clubs and players homes. Russia has also passed legislation that will allow for the development of four areas in Russia which are currently called Russian Gambling Zones. Each of these zones will hold casinos, the development of which is currently being bid on. So what that boils down to is this: legalized poker is coming back to casinos in Russia. 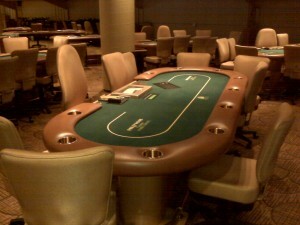 Any legal poker games here involve playing poker on cruise ships that offer poker games. 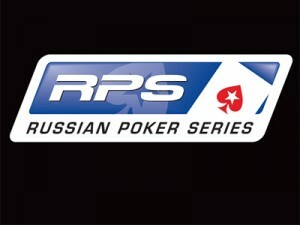 PokerStars hosts the Russian Poker Series, also known as the RPS annually. The event is held in, and televised throughout countries where Russian is spoken. The PokerStars.net Russian Poker Series (RPS) is a series of major poker tournaments conducted and televised throughout Russian-speaking countries. Thus far, the event only consists of No Limit Holdem poker games. Players that are at least 18 years of age when the cards hit the air are eligible to play. Players can buy-in to the events directly, or win seats by playing on PokerStars.com. Direct Buy ins are available for real money, or for PokerStars Frequent Player Points or tournament dollars. There aren’t any legally operating online poker sites that are licensed by Russian entities or that are specifically “Okay” for Russian poker players to play at, in fact in November of 2012 the Government required Internet Service Providers to block customers access to all ‘illegal gambling sites’. There are however very reputable online poker sites that are licensed in Malta, or by the European Union. All of the following online poker sites are legally operating and being regulated under licenses issued by the European Union. If you were to choose to play at one of the above sites, despite the fact that they’re not licensed specifically by the Government of Russia, you might decide which one is the best fit for you based on a number of factors. For instance, Carbon Poker, the 1st on the list above only accepts deposits in USD, that’s also the only currency that they allow play in. So if you were looking to make deposits in Rubles, you could quickly rule out that option. Other factors Russian poker players may consider when choosing an online poker site include the sites online reputation, as well as the deposit methods offered, the amount of rake paid per hand, as well as the games offered by the poker site. There are mobile poker options available to residents of Russia, in fact Russian poker players can play on sites like PokerStars, using several mobile devices. Thus far, poker players from Russia have the world at their fingertips when it comes to online poker deposit options. Russian nationals are able to make deposits using credit cards, pretty much any eWallet that accepts online gambling deposits, and via bank wires, and transfers. A pretty unique gambling deposit method open to Russian poker players is the Virtual mobile visa offered by Pokerstars. PokerStars offers players from Russia a quick and easy way to fund online poker accounts from their mobile phones. Players can sign up for Mobile Visa from PokerStars by either making a quick telephone call or sending a text. Visit the PokerStars website for further information. As it stands right now, it’s not legal to play poker for money in Russia. Players can get together and play for entertainment; however there aren’t any legal cash poker games in the country. That’s set to change with the introduction of Russia’s four gambling zones as we mentioned above. 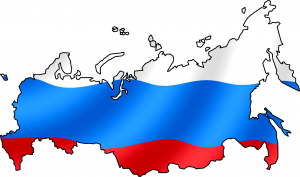 There is also some legislation regarding the legalities of gambling online, in fact, the Russian Government has gone to some effort to attempt to block the IP addresses of Russians from accessing online poker sites like PokerStars and Full Tilt Poker.